In a strange turn of events, Fulham have decided to launch a bizarre attack on the Anfield faithful. The Official Fulham FC Matchday Programme for Sunday’s 2-1 defeat to Chelsea ran a regular bit called “The List”. There, they had a think about three former Fulham managers that perhaps should have been given more time at the helm. Among those considered was “football mastermind” Roy Hodgson, who left the Cottagers in 2010 for a woeful, and thankfully short, stint at Liverpool. But, their account of Hodgson’s tenure at our club seems to have been designed as a dig at us. We’ll be hosting them in a week on Sunday; this seems like quite an odd way to treat your visitors, doesn’t it? “He was given a frosty reception on his subsequent appointment at Liverpool. “Fans were unmoved by his success with smaller provincial clubs like Inter Milan. “Realising that Roy was not going to win the league immediately and angered by his failure to buy the world’s best players, who would obviously jump at the chance to sign for the team that had dominated Europe a mere three decades earlier, fans quickly lost patience. 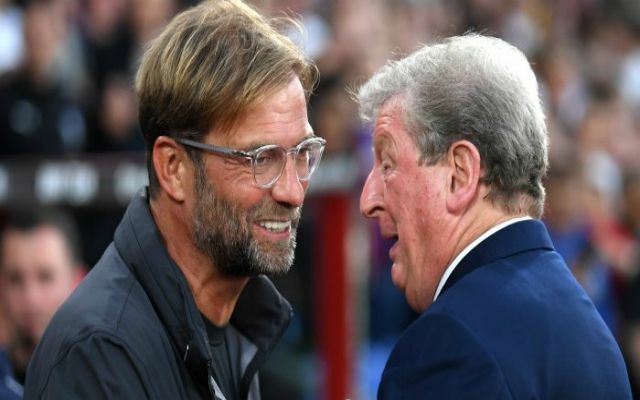 “Demonstrating the cool-headed pragmatism that has endeared them to the footballing public, the Liverpool faithful demanded Roy’s replacement be an exciting young manager befitting the club’s stature. “Setting the time circuits to 1991, the club’s executives piled into the waiting DeLorean and floored it to ’88, returning with a fresh-faced and energetic Kenny Dalglish, ready to usher in a new era of dominance spearheaded by future club legend Andy Carroll, a shrewd purchase at just £35m. “Unfortunately, however, Alex Ferguson and Wayne Rooney recovered the time machine, went back to 1991, stole the Sports Almanac and brutally laid out Jan Molby at the ‘Enchantment Under the Sea’ dance. What this taunting by Fulham fails to mention is a record of 13 wins in 31 games, a catalogue of defeats playing horrendous football, and losing on penalties at home to Northampton Town in the League Cup. Those six months of Hodgson were awful times for us, not to mention the hellish ownership of Hicks and Gillett. Anyway, thank you Fulham, we’ll do our talking on the pitch if you don’t mind?